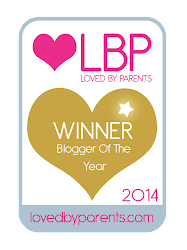 Mrs Bishop's Bakes and Banter: My First Ever BlogCampUK - Blogging tips from the best! 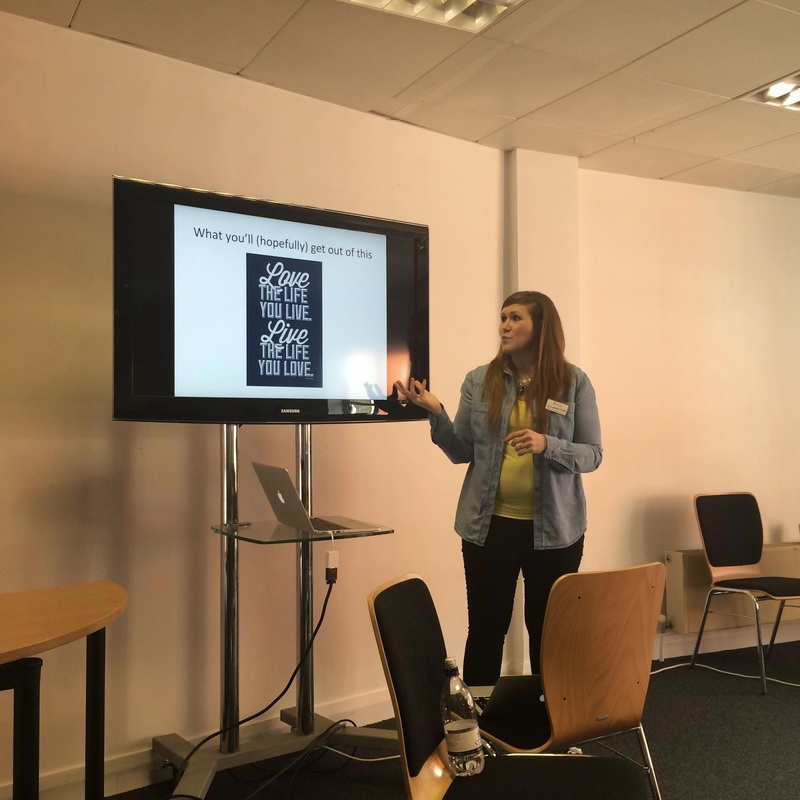 My First Ever BlogCampUK - Blogging tips from the best! This weekend I headed to Birmingham for my first ever BlogCampUK- a completely free blogging conference/networking event arranged by the very lovely Sally Whittle and her team over at TOTS100. This years event was sponsored by Cow and Gate. Having never attended before, I didn't know what to expect - but boy was I pleasantly surprised!! It was the most incredible day - full of inspiring speakers, friendly advice, encouragement, a chance to mingle and chat to some of my favourite bloggers, and it was brilliantly well organised. Train selfie on my way to Birmingham! We were looked after so well by the TOTS100 team, and their Cow & Gate sponsors: providing us with unlimited tea/coffee/hot chocolate, feeding us pastries and fruit for breakfast, a biscuit coffee break, followed by an amazing lunch of celeriac tartlet, chicken/chorizo and butterbean stew, salad, baguette, coleslaw and hummus, followed by a spiced plum and pear pudding with cream, and the afternoon was drawn to a very chilled close with a sugar-fuelled afternoon treat of waffles and maple syrup. You know when they say there's no such thing as a free lunch? Turns out there is! I behaved really well food-wise and managed to resist the pastry at breakfast and went for an apple instead, I bypassed the biscuits and just had a coffee in the tea break. At lunch I was hungry and ready for a nice filling lunch - I went for a tartlet with salad, a spoonful of the chicken stew, a small spoon of hummus and one small piece of baguette for lunch (and it was delicious! ), followed by a mostly fruit and tiny piece of pastry pudding, with the smallest splash of cream. I even managed to resist the waffles in the afternoon as I was still full from lunch, so I think I did pretty well in terms of self control - events like this make me realise just how far I've come in terms of food and temptation. My lunch, my mantra "be moderate, be moderate". It was hard. 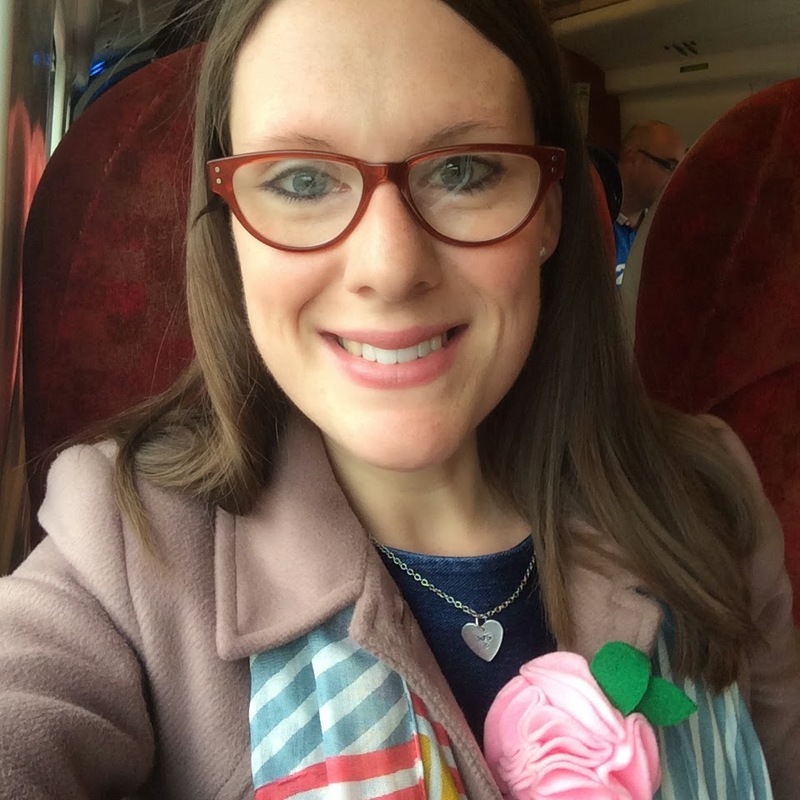 I attended four brilliantly inspiring sessions at BlogCampUK this year - I think I made really excellent choices, and attended those sessions with titles that really appealed to me on subjects that are important to me and my blog. This session was run by two lovely pro-bloggers: Penny from Parent-Shaped Becky from Baby Budgeting. Their session demystified the term 'pro-blogger' (which incidentally just means a person who earns their living from blogging) and they talked earnestly about the reality of pro-blogging: the ups downs and in-betweens, what a day as a pro-blogger might look like, and some handy tips for bloggers whether they're 'pro' or not. Remember there are multiple income streams when it comes to blogging - it's not just about reviews, sponsored posts and advertising. You could run an online shop, write and sell an Ebook, use affiliate links, be paid to write guest posts, write for others, host twitter parties and hangouts, be paid for running social media accounts, do blogger outreach and public speaking, to name but a few. Time management and discipline is key when it comes to blogging successfully, especially when you have a family to look after and a house to run. Arrange a 'blog clinic' with local blogging friends - make it a regular meet-up where you can all discuss your blogs, set goals for each other, inspire each other and provide some face to face feedback and support for each other. This will really help to keep you accountable for your blog. Network, network, network! In order to be a really successful blogger it makes sense to read other blogs, see whats out there, engage with other blog writers, form relationships, comment on others posts - not only will it help inspire you with your own blog, but you'll form amazing friendships and make brilliant and useful connections with other bloggers. Develop your skills - attend conferences and workshops, do courses and classes, always be willing to learn new skills - your development will ultimately lead to your blogs development and improvement. Play to your strengths - know where your strengths lie and never be afraid to recognise where you lack skill - if you're rubbish at design or coding, pay someone to do it for you, or skills swap - maybe you have a skill they don't that could be equally useful for them and their business. Don't be scared to 'blag' - some see it as being cheeky, but asking to work with a brand or review a specific item is not blogging, it's 'pitching', and it is a great way to focus your blog on suitable and interesting content that may well be a little bit different to the standard campaigns doing the rounds at the time. You don't get unless you ask, and the worst a brand or PR can say is 'no'. You must embrace social media and have a strong presence on as many platforms as you can handle i.e Facebook, Twitter, Instagram and Pinterest. Give yourself away for free sometimes - you never know where it might lead, and what opportunities may arise from it - use your good judgement, and don't undervalue yourself, but sometimes it might just be worth it. Collect testimonials from brands, PRs, anyone you've worked with who can endorse you and your work - it's not all just about stats! Be polite, on time and professional at all times, especially when conversing with brands and PRs - rudeness, tardiness and someone who is generally un-reliable are unlikely to be used for repeat work. 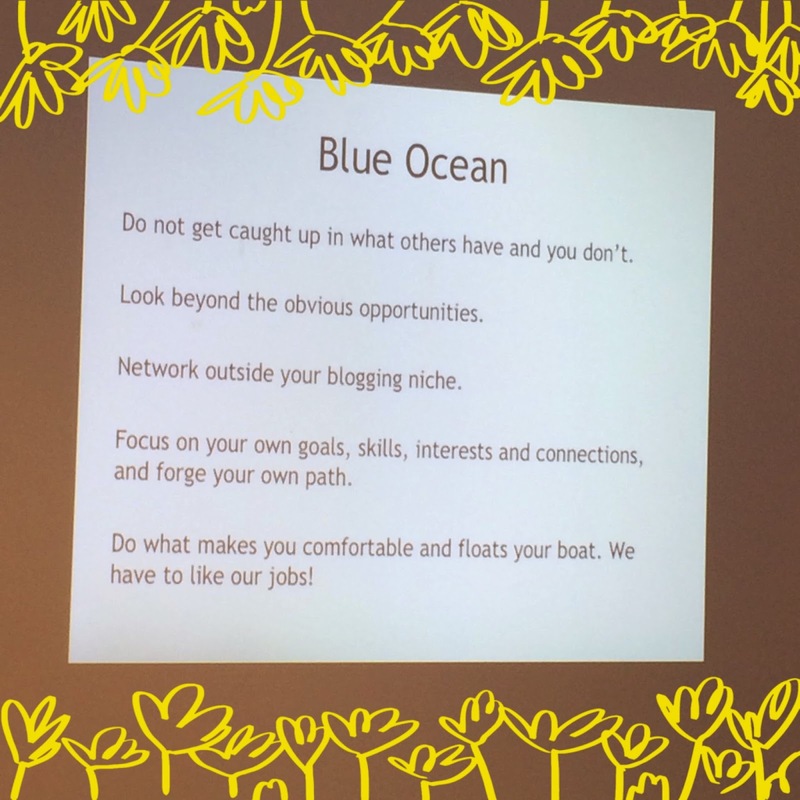 And finally, follow The Blue Ocean Principle: the blogging world is a very big ocean with millions of fish - there is room enough for all of us, so don't get caught up in comparing yourself all the time to other blogs. You are successful in your own right, and you can do things your way - there's no right or wrong, just lots of people enjoying their corner of the inter-web! This session was hugely enlightening and aimed to explain how the scores for TOTS100, HIBS100, and FOODIES100 are worked out. As Sally hilariously explained it really isn't just about who she likes the most! In a nutshell: your score is worked out by collecting seven key pieces of data from various different methods for each blog on the list. Each piece of data is then organised and ranked in order from highest-lowest to give you a numbered score for each area. These seven numbered scores are then added together to give you an overall score - this number will determine where you rank in Tots, Hibs, Foodies etc. 1. Page Impressions - how many times your page has been loaded. 2. Unique Views - how many individual people generated those page impressions. 3. Your Klout score (a score of 50-60 is about average) This score is worked out by Klout and is basically a score based on how many mentions your blog has had on social media platforms. 4. Instagram - how many followers you have. 5. Links - total number of links that exist to your site on Google, and how many of those are recent (last 30 days). 7. Inbound links - a second check is made to see how many inbound links to your blog exist. Over 70,000 pieces of data are collected to establish the rankings each month, so Sally also says to bear in mind that sometimes these data collections can spew up anomalies which is usually the cause for a sudden large drop (say of around 200 places or so) in the ranks - they do all they can to spot these errors before the rankings are published, but sometimes they miss a few! Be kind to them and just drop them a polite email if you think this may have happened to you. It is also worth noting that the ranking is always a month behind content - so the scores published in April will be based on March's blog content. Someone asked Sally to clarify what she thought the average page views for bloggers in the high ranks looked like - she answered that bloggers in the top few spots of TOTS100 would be receiving around 40,000-50,000 pageviews per month, right down to 8,000-9,000 at the bottom of the ranking. Sally reminded us all that it really isn't worth shedding tears over, and that your TOTS100 score won't make you happier, a better blogger, thinner or solve any of your other life problems, it is just a number based on metrics. She also added that some of her favourite and some of the most interesting blogs that she reads aren't in the top 100! Write your blog for you, and be proud of it, no matter what number is attached to it. It was a truly enlightening session, and it was great to understand how these metrics work. I also realised that I hadn't updated my TOTS, HIBS and FOODIES profiles in so long that they didn't even have my Facebook, Instagram and Pinterest links on them, so I would have been scoring a big fat '0' for Instagram despite having lots of followers and being very active on that platform - d'oh! It's all updated now, so thats cool. Thanks Sally for a brilliant session, and I hope I've explained it correctly! Although I'm not particularly interested in making a living from blogging, as I enjoy it immensely as a hobby and the little 'on the side' perks and opportunities it brings, I am a big fan of Mel's blog Le Coin De Mel, and so was eager to hear her speak - so I headed to this session, and I'm so glad I did. As I said, the session was run by super-awesome food blogger Mel from Le Coin De Mel and the very lovely and uber-passionate Elizabeth from Rosalilium. They discussed ways in which you can create income, albeit through actual money made, or payment in kind. - Images speak 1000 words, therefore food styling and photography is key to all food bloggers. It is absolutely paramount that you take incredible pictures and style the pictures of the food on your blog to get it noticed. A blurry, badly lit shot of your dinner with a messy sauce splashed plate will just not cut it! -You don't just have to write in exchange for money, you could write in exchange for food. It is still a huge financial benefit when feeding a family, and less complicated than earning money and therefore needing to register for tax returns etc. -You could also earn by developing recipes for online magazines (usually pays around £50 per recipe on average). -Review products you are interested in, be a pitcher, ask for things from companies you love - don't be scared, and be ballsy and brave - the worst they can say is no! -Whenever you are asked or ask to do a review of a product, also ask to run a simultaneous giveaway - 90% of the time the brand/company/PR will say yes, as it provides brilliant exposure, and is a sure-fire way to improve you page views and stats. -You could write commissioned posts about kitchen equipment and gadgets, not just the food itself. -Pinterest is the most important social media channel when it comes to food blogging - get an account if you don't already have one, make it a business account, get verified and get pinning! Pin great content from other food blogs as well as your own, join group boards, and try to get 'featured' by Pinterest themselves like both Mel and Elizabeth have done - it will mean a HUGE rise in followers. -Follow other food bloggers, comment on and share their work, build relationships and extend your network - it's not what you know, its who you know! Be generous with your shout outs, email bloggers you admire, build authentic relationships and you will find your 'tribe' of like-minded bloggers and these people will become so important to you as friends and peers. 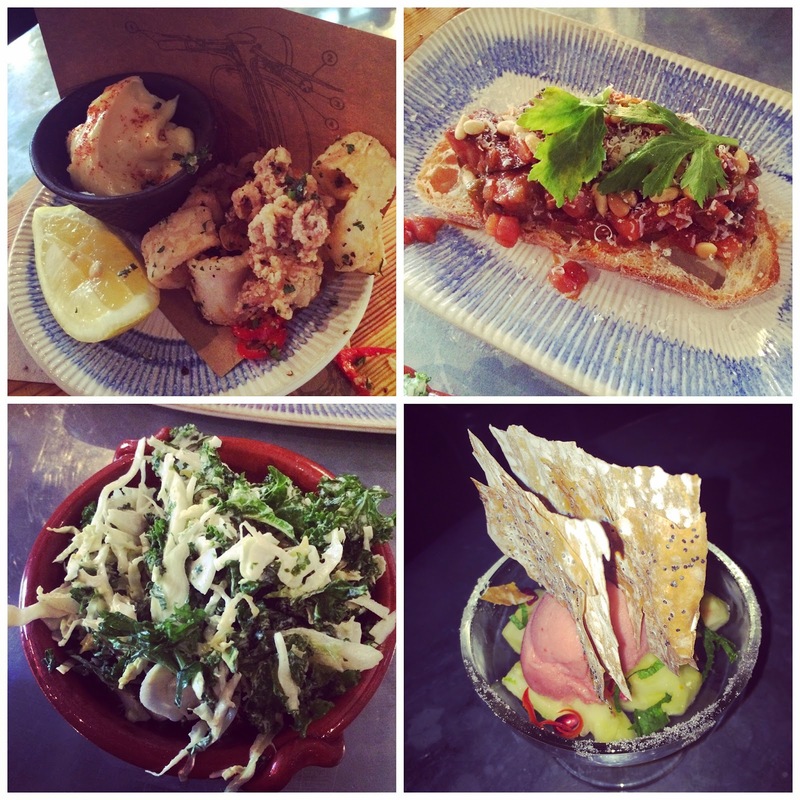 -Submit your photographs to places such as Foodgawker and Tastespotting - this can generate great traffic, and get your name and blog 'out there' a little more quickly. -Try keeping track of your blog stats in a spreadsheet that you update monthly, so that you have a reliable go-to source of stats info when PRs and brands ask you for it -you don't necessarily have to have a media pack, although it can be helpful. -You could also keep a database of PRs, contacts, brands you have worked with in the past, this could be really useful when seeking out new work, or pitching new ideas. -Always include at least one image in your blog post which is 'pin-ready' i.e has the title of the recipe written on it, and maybe a blog watermark - pin this one to Pinterest (as well as the others without writing if you want) as statistically these are the images that are re-pinned the most. You can use free image editing sites such as Canva for this. -Collaboration is a great way to evolve your blog and audience, for example you could take part in recipe swaps with other bloggers. -Publish a variety of content. There are three types of content: Evergreen posts - which are always relevant and therefore always popular, Topical posts - which are topic based, but only relevant some of the time, Personal posts - which add meaning and ensure your readers invest emotion and feeling into the reading of your blog - it's vital to have a good mixture of all these types of posts. -Give extra value to your readers: perhaps you could provide recipe printables with each of your blog post recipes, or you could publish a free e-book with a collection of your best loved recipes inside. Wow, there was such a lot of great advice there, and lots to be thinking about! I hope that I'm already pretty good at a lot of these things, but there is absolutely always room for improvement. 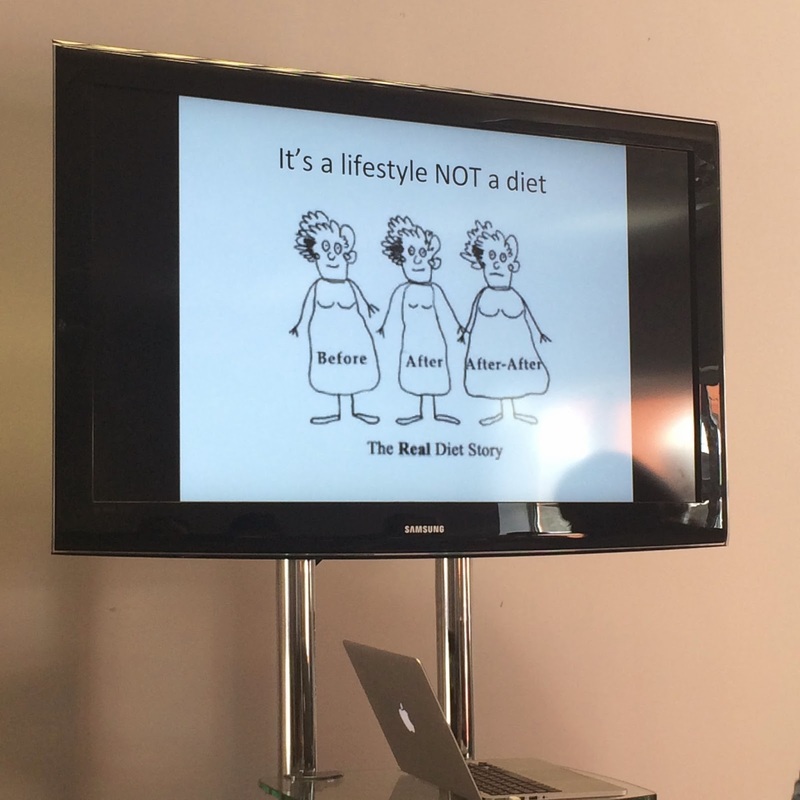 This session was the one I was most excited about because it was being run by the pretty damn awesome Ruth Walters from one of my favourite health/food blogs Let Her Eat Clean. This session was full of amazing information about the way we choose to nourish (or not) our bodies, and she gave us lots of advice about the types of food we should be eating and avoiding. Ruth is currently training to be a nutritionalist, and we have very similar histories having both been very over weight and lost that weight in a balanced and ultimately healthy way. It was great to hear her reiterate all the things I already knew to be true, and to be reassured that I'm going about this health thing in exactly the right way - balance and moderation in all things. Lovely Ruth in full swing! Love the life you live, live the life you love - great sentiments! -Eat plenty of oily fish such as mackerel, tuna and salmon - this contains high levels of Omega 3 which provide building blocks for healthy brain development and function.If you're not keen on the strong flavours of these fish then why not mix some mackerel and tuna with mashed potato and herbs to make fishcakes. -Marmite is a great source of B vitamins. Yay! I love Marmite. Other great sources of B vitamins include meat, eggs, seafood, green leafy vegetables, legumes and whole grains. -Between October-May in the UK many of us are completely deficient in vitamin D which we get from the sun, if you think you may be deficient you can request a test from your GP and could be prescribed a supplement through the winter to boost your levels. -Turkey contains high levels of tryptophan which gives a drowsy effect on the body - this could be why we all feel so sleepy after a big turkey dinner at Christmas! -Food and drinks that can have a negative effect on mood are alcohol as it depresses the nervous system, caffeine in excess (know your personal tolerance level) as it is a big trigger for anxiety in lots of people, sugar as although it numbs the pain and distracts you momentarily from reality, it can cause an extreme low after consumption, and doesn't provide the nourishment you need to stay full - you will feel hungry soon after eating high-in-sugar foods. You will also most likely feel guilty if you eat these in excess, which causes the vicious circle of eating sugar-feeling guilty-eating more sugar to console yourself. Of course, Ruth explained that processed foods are much worse for us in terms of health and nutrition because of the stages of change they have gone through and the chemicals that are added to them. 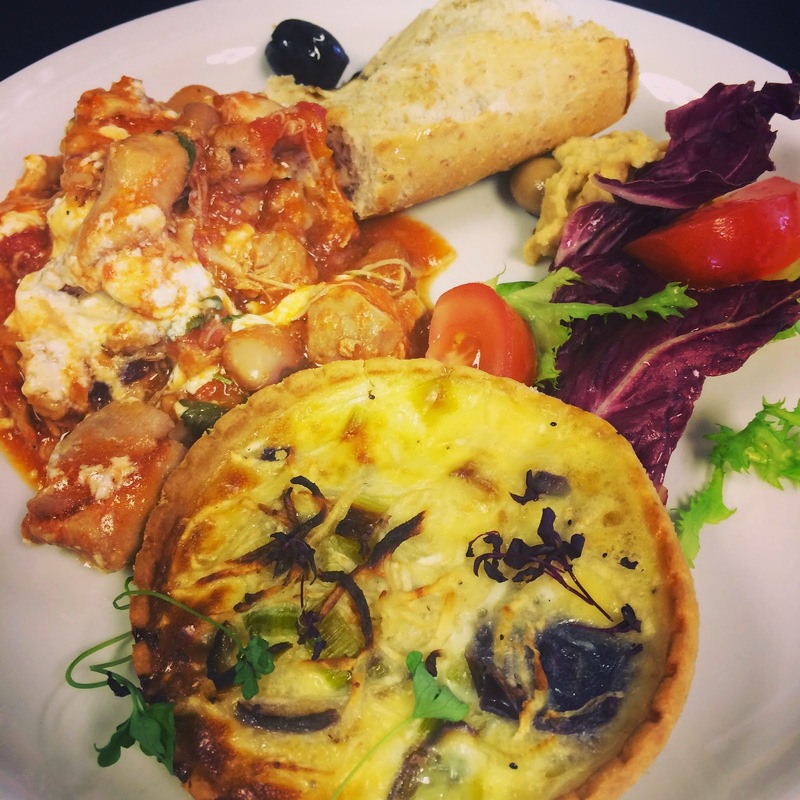 -Ruth recommended the Charlie Bigham ready meals fish pie as a healthier option if you are needing to eat a speedy pre-packed meal but want to remain health-conscious! I definitely want to give this a try! -Being good to your gut doesn't mean you have to buy into purchasing special (and expensive) daily drinks like Yakult - eating live bio yoghurt and sipping bone broth both also have beneficial effects on our gut. You can make bone broth at home using a chicken carcass and water cooked in a slow cooker - being good to your gut in this way is especially good for those with immune disorders such as coeliac disease. -Organic meat is free from antibiotic and added chemicals, and is often a must for those who care about animal welfare - there's no getting away from it though - organic meat is pricey! Try getting your protein from other cheaper organic sources such as from beans, pulses and lentils instead of meat at every meal - just a couple of meat-free meals can have a big effect on your weekly food spend. -Sleep is VITAL for good health and a positive mindset. Lack of sleep increases our appetite and can lead to weight gain. 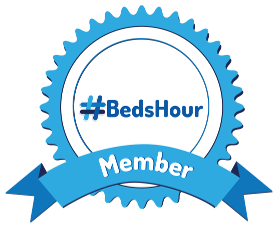 Try a technology ban after a certain time in the evenings (say 9pm or 10pm whatever works for you) and make a conscious effort to get more sleep - even an extra half an hour a night can have an incredible benefit on the way you feel. -Be mindful and see this step into a healthier you as a lifestyle change instead of a diet - diets don't work in the long term, instead, enjoy everything in moderation and break free from the guilt cycle. Try not to see food in terms of reward/punishment but instead see it as the nourishing life force it is, and understand that moderation in all things will lead to much happier and healthier you. Thanks to Ruth for a really inspiring and enlightening session, it felt amazing to be at this end of my weight loss journey nodding along to everything she was saying - I could have hugged her at the end! Me and the gorgeous Emma! As well as learning loads of brilliant stuff at BlogCamp I also got to spend time with my amazing friend Emma from Life According to Mrs Shilts, we don't get to see nearly enough of each other, so it was fab to get some quality time together - we even managed to fit in a lovely child-free bit of shopping after the conference followed by dinner at Jamie's Italian in Birmingham, which was a lovely treat. 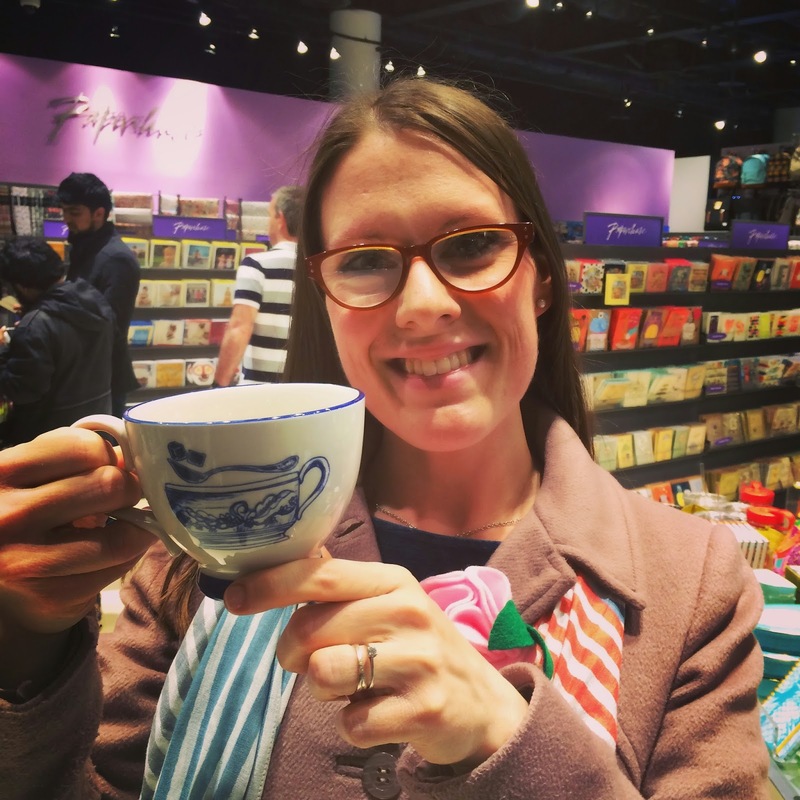 I treated myself to this rather gorgeous new teacup from Paperchase while shopping with Em in The Bullring, Birmingham. 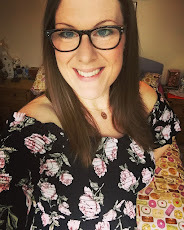 I also finally got to meet in person some great blogging friends such as the lovely Vicki from Honest Mum, it was great to give her a great big hug, and have a face to face chat - I also got to meet and chat to her super-gorgeous Mumma! 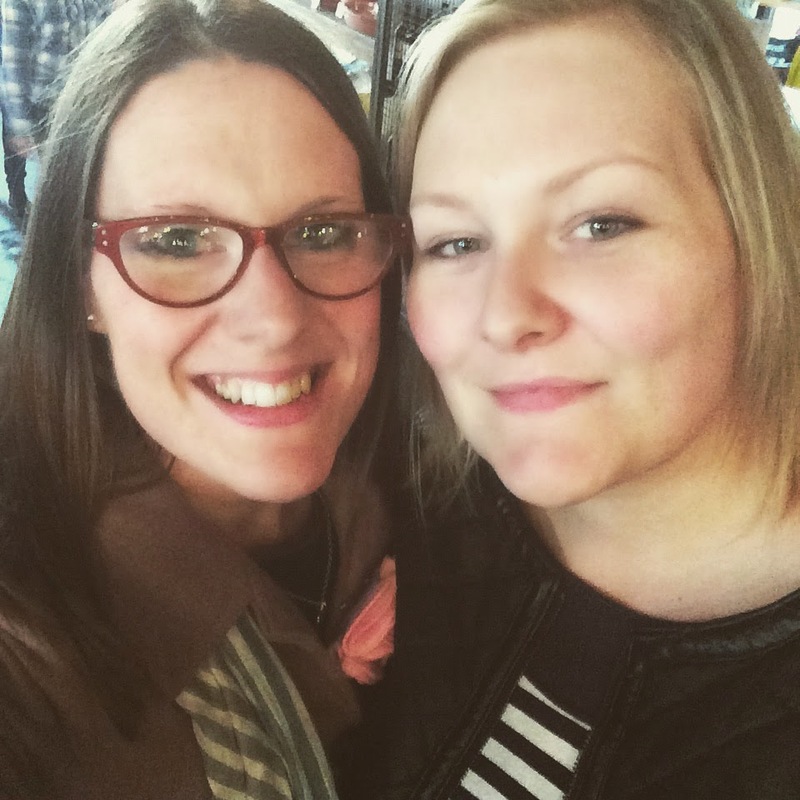 I spotted Leigh from the fabulous blog Headspace-Perspective which I've been following since its start, getting on the same train as me in the morning, and after chatting to her at Blog Camp we realised we live in the same town just two roads apart! How is that for a co-incidence? What a brilliant way to make new friends, meet old friends, and finally chat in person to those who I already have a great relationship with online. All in all a truly brilliant and inspiring day - bring on BlogCampUK 2016 - I can't wait! You can read other roundups from the day over on the TOTS100 roundup page. Hey my lovely, I loved this post. You've really summarised the day beautifully! BlogCamp is quite simply perfect. Dally and the team listen to what we need/want and create a day completely tailored to us. Wow, what you've written about me is so kind; thanks a lot! Thanks for recommending my little blog, and let's keep in touch! I'll sign up for email notifications for your blog, too! Beyond your smiley supportive face that came to my talk on Saturday, isn’t this a lovely thing for you to have taken the time to write? Too kind, too kind. You’re clearly an expert in your own right too with such a lovely story to tell. Keep inspiring lots of people around you. • Not all Charlie Bigham’s ready meals are as good as each other but the fish pie has a gorgeous ingredients list, free of any nasties, and an equally delicious taste. It’s a lifeline on nights I can’t face cooking with a huge side of greens, like garlic spinach. Yum! Thank you so much Lucy for your lovely loveliness. I’m so glad Blog Camp allowed us to meet. I so appreciate you taking the time to comment, and hope my post is now more accurate! Thanks again for a super-awesome talk - so glad to have sat in on it, and can't wait to continue following your blog with a lovely face officially to the name now! Yay! Oh, and yay for having your first baby soon - it is AMAZING- parenthood totally and utterly rocks! Oh wow, it sounds like you had an absolutely fabulous day! I wish I had been. And thank you, thanks to you I noticed that some of the details on my TOTS100 profile were totally out of date. Oops! Fantastic write-up - one correction (if I may) - the traffic scores relate only to the top 100 blogs, not the entire index. Overall traffic of 3-6k per month is probably a lot more typical. So pleased you came and had a great time, and I agree, our speakers did an amazing job!